I was recently at NYC Eataly with my hubby and we picked up a couple of bags of this really cool pasta that we’d never seen before. The history of the pasta is interesting! Croxetti is historically used for special occasions and weddings. 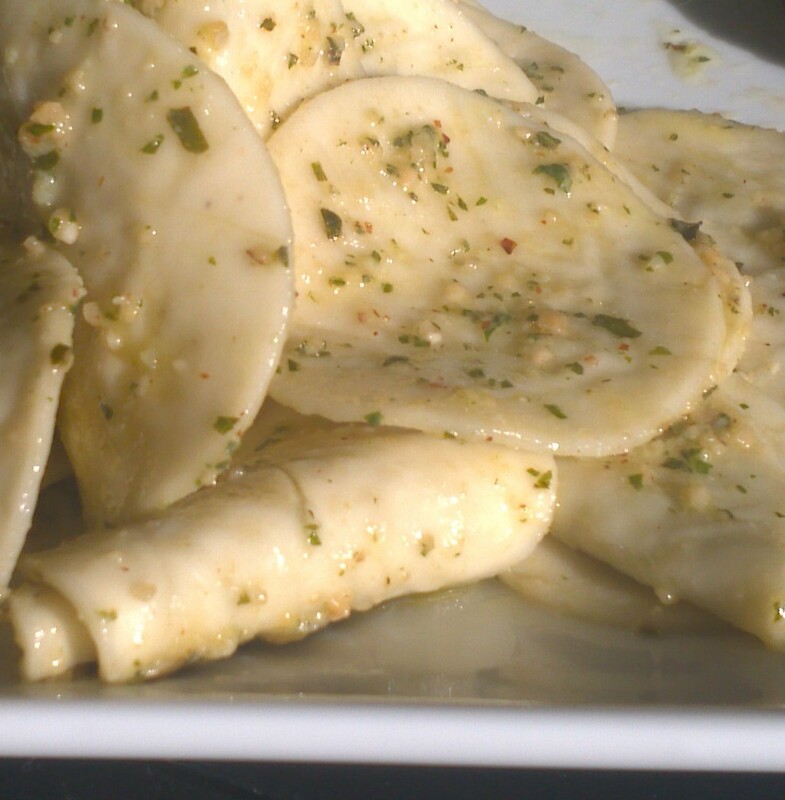 The pasta is pressed with different designs. Sometimes, a family crest, initials of the bride and groom, or even just an important symbol. The croxetti should be prepared according to packaging, but if for instance, the instructions are in Italian! 10 minutes in salted boiling water should do the trick, but always watch your pot and test pasta accordingly. Strain the pasta and transfer to a serving bowl. Drizzle the oil over the top of the croxetti and stir. Stir in the premade pesto and stir gently until the pesto and coated the pasta. Sprinkle with the parmesan and serve! wow, this sounds good. I’ll make it this week! Last resort, had to take photo with cell phone camera, but wanted to post anyway!